Highlights of the Sky Bet League 1 match between Blackpool and Gillingham. 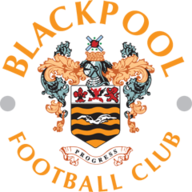 Neil McDonald believes his players are finally getting their just rewards after Blackpool made it three consecutive home clean sheets with a 1-0 win over promotion-chasing Gillingham. Jack Redshaw's penalty just before half-time saw off Gillingham and moved Pool five points clear of the drop zone. McDonald said: "It wasn't pretty but we played some really good football in the first half and should have taken the lead in the first minute. "It's extra special when you played a team in the top two. They are free-scoring but we kept everything quiet and simple today and they didn't really bother us. It was good defending from all of the team. "We've kept our run going and our home form is becoming special. It was a good atmosphere as well. The fans can see that we've hopefully turned a corner. "We're still not out of trouble, there's still a lot of work to do but we're trying our best. Hopefully everybody gets pats on the back because we've beaten a decent team today. "The last three games have been very difficult and we've come out with five points. The players are certainly getting their rewards for the hard work they've been putting in but we still need points to push us up the league and keep us out of trouble." 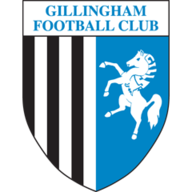 Luke Norris went close with a Gillingham free-kick before the hosts took the lead on the stroke of half-time when Mark Yeates was upended by Max Ehmer in the area and Redshaw slotted home from the spot. Then Mark Cullen's turn and strike from close range went just wide and Gillingham would have equalised through Ehmer had it not been for Tom Aldred's block. Gillingham manager Justin Edinburgh said: "It was obviously tough conditions and the pitch wasn't cohesive in terms of how we wanted to play but for effort and commitment we've given all we can. "We probably lacked that little bit of inventiveness and quality in the final third and one lack of concentration cost us. A draw would have been fair for both teams. "It was just that lapse in concentration leading up to the penalty. We dangled a leg for a free kick, we didn't clear the ball and the inevitable happens if you're not on the front foot and we were punished. "We were on the front foot second half but we just didn't have enough to open them up. "We started well and looked comfortable without hurting them. We tried to tweak the formation second half but it wasn't to be. It wasn't through lack of effort but that quality deserted us today."